Miley Cyrus partied like it's 2006 ... transforming into Hannah Montana and sending her fans into a tizzy. Miley's mood Thursday night? Full Montana -- bringing back the blonde locks, the bangs and a ton of songs from her famed Disney Channel character, circa 2006 to 2011. Best of all ... she recorded herself putting a hilarious spin on the theme song, "Best of Both Worlds." Let's hope Hannah's fans have grown up as much as Miley ... 'cause the new full-grown, party animal version went a little like this ... "The best of both worlds, like when you take an upper and a downer at the same time. Like if you take a little molly and smoke a joint." Miley also declared herself the winner of the #10YearChallenge. She looks almost exactly the same as she did back in 2009. Anyway, what's got fans going crazy is they're now wondering whether this means a Hannah comeback is in the offing. 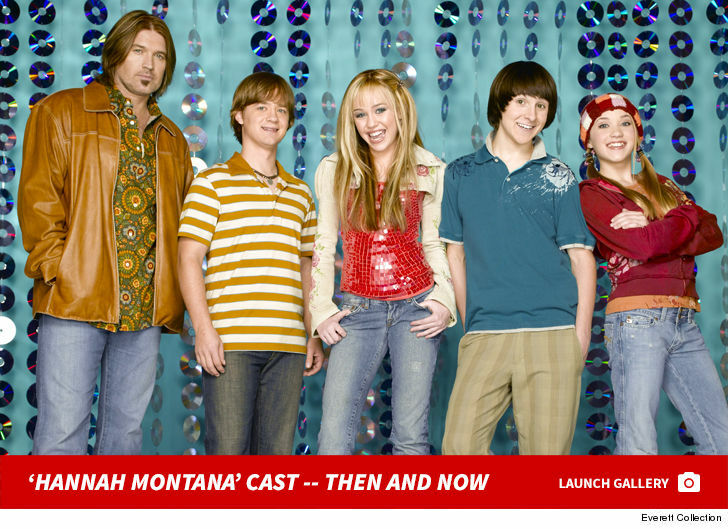 We're thinking Miley's aged out of the character, at the ripe old age of 26 ... but ya never know!